Community plays a pivotal role in life cycle events. 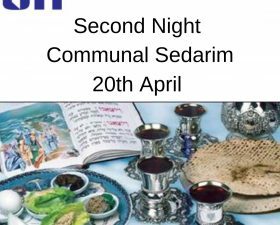 South Hampstead Synagogue looks forward to celebrating the birth of your child with you. Please be in touch with the shul office to let us know when your baby is born. To email the shul office please click here. We have a team of wonderful volunteers in our community who can arrange a meal rota to provide you with nutritious and delicious dinners while you adjust to a new stage of life! Our Rabbinic team would be delighted to chat about a Brit Milah or a Simchat Bat, shalom zachor, Pidyon Haben or any other special celebration that you would like help planning. Click here for their contact details. Each year in the month of June we have a celebration to welcome all the new babies in the community. Our youngest Shabbat morning children service includes babies of just a few months old and our nursery BabyiSH takes children from 3 months. South Hampstead is a community for people of all ages and stages. We can’t wait to share your simcha. Mazal tov!